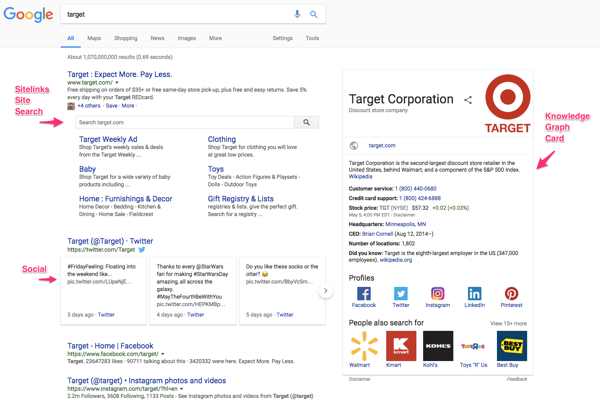 If you search for a specific company, the Knowledge Graph will show an almost complete profile, depending on how well they did their SEO work. Searching for a recently released movie will show posters, reviews and screening times for your local cinema. As you see, the graph is a powerful and fascinating tool. But what can you do to get your information in the Knowledge Graph? Google’s core business is providing people with a correct answer to all their questions. To do that, it doesn’t just present the result that closest matches a search term, but also by making broader connections between data. Google, therefore, collects and analyzes massive amounts of data on people, places, things and facts and develops ways to present the findings in an accessible way. 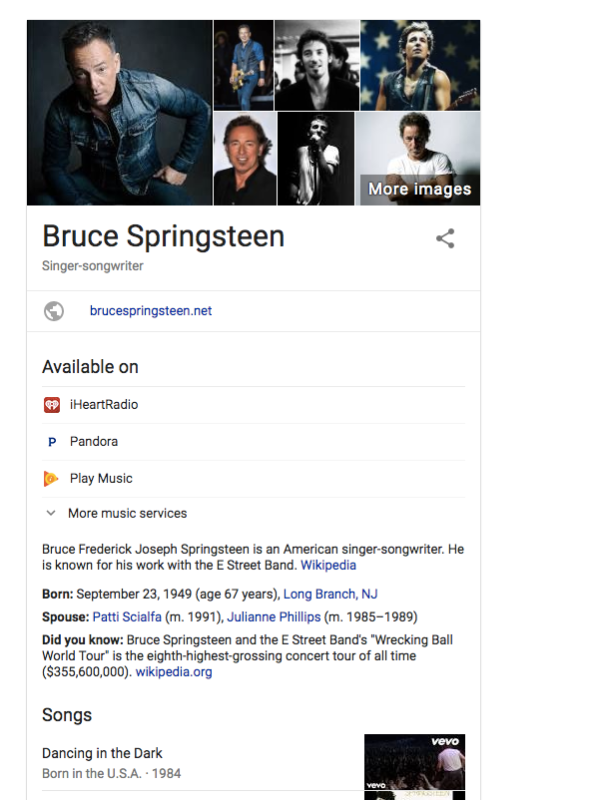 These are often rich results, like featured snippets, images carrousels or the famous Knowledge Graph Card mentioned in the intro of this text. 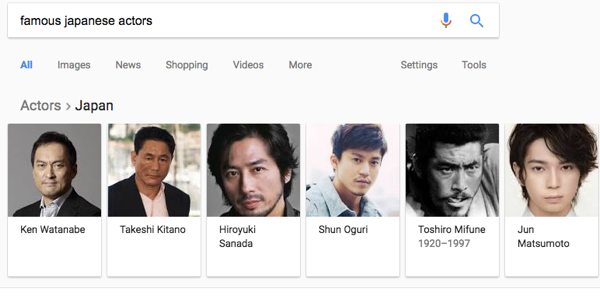 This is where it might get confusing: many people mix up the Knowledge Graph and the panel you see on the right-hand side of your screen. The Knowledge Graph is the engine that powers the panel that’s officially called the Knowledge Graph Card. In this card, you’ll find the most visible result of the work the graph does. When there’s enough data about a subject, the card will be filled with all kinds of relevant facts, images, and related searches. Check out Target’s card in the screenshot below, and you’ll see how much information it provides. In recent years, content presented by the Knowledge Graph has become much more interactive. At first, it featured only static content, like images, social media profiles, and general information about the search. Today, it is continually expanding in possibilities. If you search for a movie, you can directly book tickets to see it at your local cinema. Search for a local store, and you know exactly when the busiest times are. Google likes to experiment with the graph, what it shows and how it’s presented. Let’s look at some examples of recent listings. These are just a few of the possible variations of information that can be found. What you see might even change depending on where you are in the world. To get your content in the Knowledge Graph, you need to become an authority on your subject. Find out what people search for by doing keyword research, write excellent content and make sure your site is fully optimized and mobile-friendly. 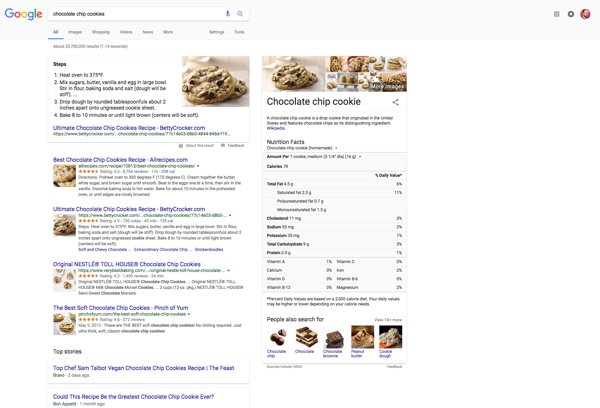 Use structured data to mark up important elements of your site to make it easier for Google to understand what it is all about. Register your site with Google Search Console and My Business. Keep in mind, structured data in the form of Schema.org is becoming increasingly important. If you have a business and need help getting your information in the Knowledge Graph, fear no more, because Yoast SEO can help. Just by setting up Yoast SEO – optionally supported by Local SEO – and filling out the information on your site, you automatically enable the data that Google needs to fill the Knowledge Graph. After that, you can use regular SEO tactics and structured data to fill in the missing pieces. Keep in mind though that it’s Google that determines what it adds to its Knowledge Graph. The Knowledge Graph is an important part of the search experience in Google. It powers many of the innovative new ways data shows up in the search engine. Getting your information in there is of the essence, especially if you have a business. If so, you have to make sure your business details are correct, sign up for Google My Business and add everything you possibly can. 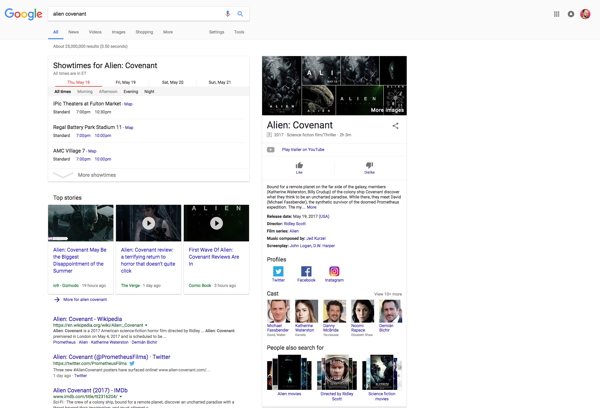 Many other parts of the Knowledge Graph are generated from structured data, like reviews, movie information, events, so be sure to mark up your data in any which way you can. Ask Yoast: Create profiles on online platforms?